Art design is one of the many components of video games that's subconsciously appreciated but rarely expressed and understood. 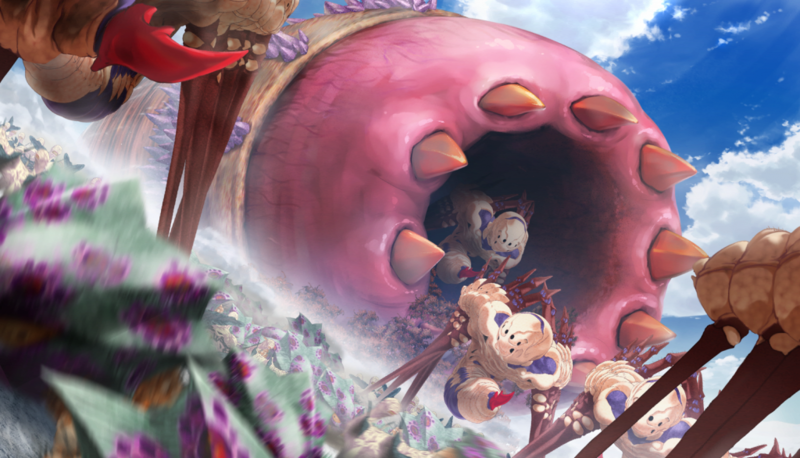 If a game's art direction works, it just works, and the player isn’t required to dwell on it. 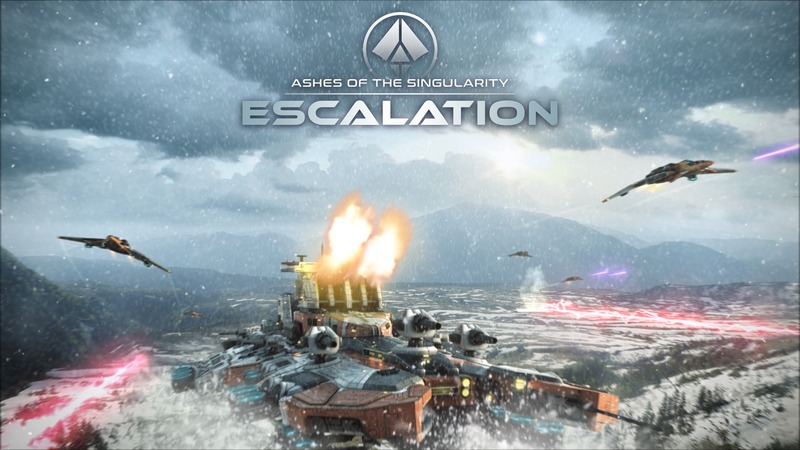 I had little regard for unit design until I started as a designer on Ashes of the Singularity: Escalation, where I am now required to be cognizant of the many subtleties of game design which gamers take for granted. It’s challenging to take a unit design from my head and communicate it to an artist to replicate, as it requires a thorough comprehension of a faction's recurring visual themes and quirks. Doing so has given me a new appreciation for the art design in many RTS games. Today, I'll be exploring how the Seraphim and Substrate factions from Supreme Commander: Forged Alliance and Ashes of the Singularity: Escalation are crafted in a way to visually distinguish them as alien compared to the other human factions. We all have an idea of what a tank should look like: a rectangular frame, a track on each side, and a turret in the middle. For something to look alien, it needs to oppose the image that pops up when you think about a unit type. The Seraphim tanks are unusual as they have their main gun off to one side and have unconventional tracks. The light tank has its right track larger than the left, while the siege tank has four separate tracks, with the front and back differing in wideness. Our expectation of walking robots is for them to match the biology we're familiar with on Earth. We want our robots to have knees, ankles and feet, and to walk in ways that resemble human movement. Seraphim walkers have multiple means of distancing themselves from a typical walker; some have blade-like legs that look and animate entirely unnaturally. Other Seraphim walkers do have knees and feet, but have an additional leg segment, breaking the leg up into 3 sections, which is unlike anything in the animal kingdom. Humans also like even numbers of limbs, as that’s what we're used to, so when a walker has 3 or 5 legs it strikes us as very alien and unnatural. The 3 legged alien trope exists for a reason. Another common factor that distinguishes alien technology is when walkers have body proportions that are very different from what we have as humans. This technique is especially noticeable with Aeon, but also with Seraphim, as they have thin legs and joints, unlike the tougher looking UEF walker that more resembles a human figure. Substrate units consist of lots of curves with sharp pointed ends, lacking the flat rectangular surfaces which are typical of their human rivals, the PHC. This factional curved/flat dichotomy is found not only in the 3D models, but also in the textures. The PHC juggernauts have straight rectangular textures such as light panels and grooves, while the Substrate juggernauts have intricate curved patterns. Seraphim weaponry is very unusual, not just because of the dark mysterious projectiles and effects used, but especially because of the odd barrels equipped on their vehicles. The weapon on the light mobile artillery doesn't have a traditional barrel - it resembles a conduit that charges and launches an energy projectile. The weapon is difficult to comprehend; it doesn’t make sense when you look at it, which is deliberate. Alien weaponry should be mysterious, yet the role which the weapon fills should be intuitive (the upwards trajectory and slow projectile speed communicates that this is an artillery unit). The Substrate shares some of the weapon types used by their PHC rivals, but these alien weapons have qualities to distinguish them. For example, the Tormentor artillery frigate has a bright fang-like bulb at the end of its barrel, unlike the dark, perfectly round PHC equivalent. Seraphim textures have a metallic shimmer, which suggests the material uses a construction technique unlike what humans use, because our metal doesn’t shine. The Tron-like veins throughout are mysterious and indicate some kind of power flow, and the bright lighting in between joints juxtaposes the darker metallic look, creating a curious effect that’s different to human constructions which have more consistent lighting and tone. Humans haven’t yet worked out how to defy physics, so typically when there are objects that mysteriously float, it’s non-human technology. Many of the Seraphim and Substrate assets have components not directly connected, floating nearby and moving along with the primary object. A recurring feature among many Substrate units are the two pincers at the front. Reusing a common trait is useful for making units blatantly belong to a specific race, especially when the unit type offers less artistic flexibility. Regardless of the chosen player color, there are color palettes typical of each faction. The PHC units have lots of silver to represent the sturdy metal that makes up their constructs and reflects the tougher nature of their gameplay. Substrate units have sections of fluorescent aqua, which represents their technological prowess. Color palettes and lighting styles can also extend to weaponry, allowing for easier readability of combat. Substrate has unique fluorescent weaponry, while PHC has lots of orange rocket projectiles. 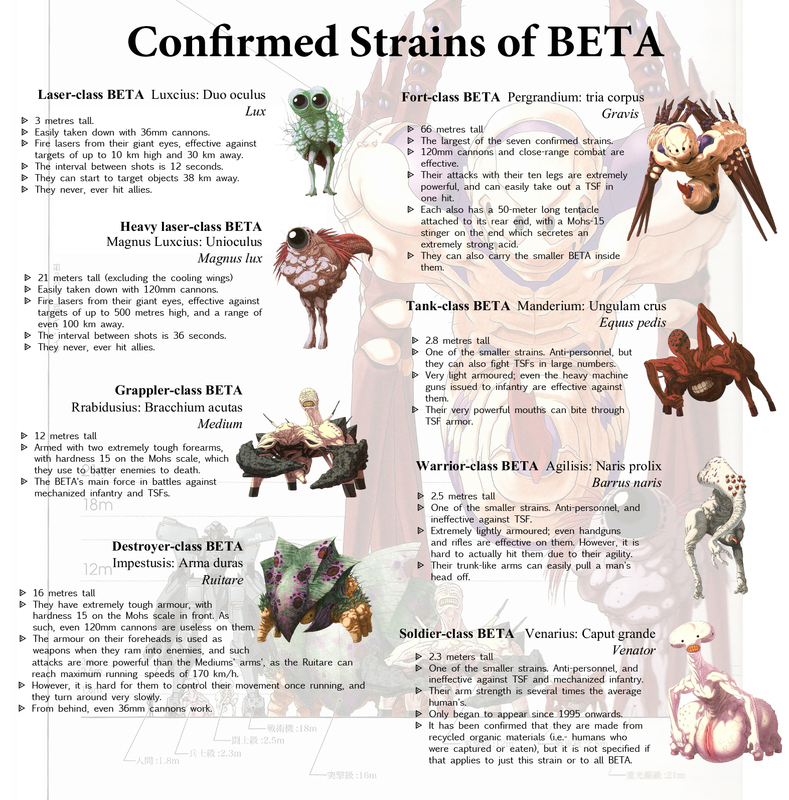 Due to the meticulous art direction in distinguishing these factions, people who haven't played either game could identify Seraphim and Substrate as alien, as different as they are from each other. Readability and differentiation is a crucial part of good, intuitive RTS design; being able to articulate the unique features that comprise a faction is a critical component of being a game designer. 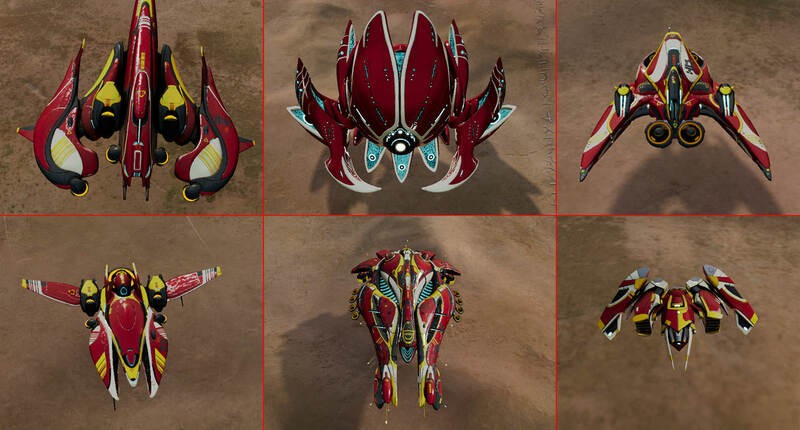 I would say bigger challenge than differentiate visually between factions (human, alien, whatever else) is to differentiate between the different unit types of a single faction. Especially if all of them use single type of locomotion, like in case of Ashes. 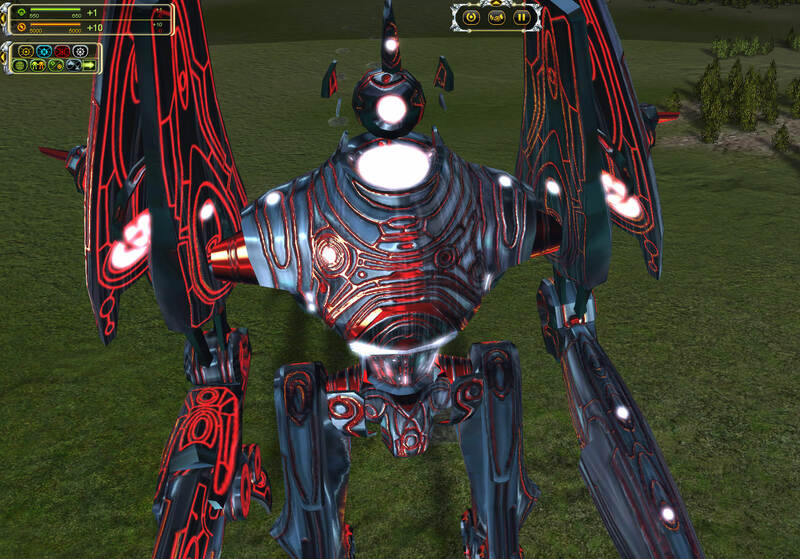 I recall Grey Goo was rather bad in this regard, you had no issue saying whether you are looking at Beta, Human or Goo unit, but knowing which unit it actually is...was rather hard, especially in case of Human faction. And Act of Aggression, that was even worse, i could not actually see units at all, because of the wannabe realistic muted color palette and overall look/art design of the game. I guess have preference for realistic visuals over cartoony ones, but this game made me sort of re-evaluate my opinion on this matter - realistic is not always the better choice. That would be the FatBoy! This was an awesome article. And I hope its theme is because there's a new race expansion on the horizon for Ashes! Hi! Sorry my late reply, but I want to share my 2 cents too. They are the main enemies of the famous Muv-Luv series, and clearly not mechanical, but bionic, still acting like biodroids (heedless of losses, marching forvard and devastate everything.) I can imagine such a race in Ashes too, where quantity matters (better than the PHC or SS, cause a B.E.T.A assault force starts at least 5000 unit , but its not rare even 50 - 100 000 corps too.. I don't know specific measurements, but I would say a frigate is around the size of a car and a Cruiser is around the size of a tank, meaning Dreadnoughts and Juggernauts are quite large. You can look at the size of the accessories such as vents and windows on the PHC Juggernauts to get an idea of their scale. I measured the Prometheus for the pine trees in the right. If an average tree is about 5 meters tall, then the Prometheus is at least as tall as a 10 story building (~30m). 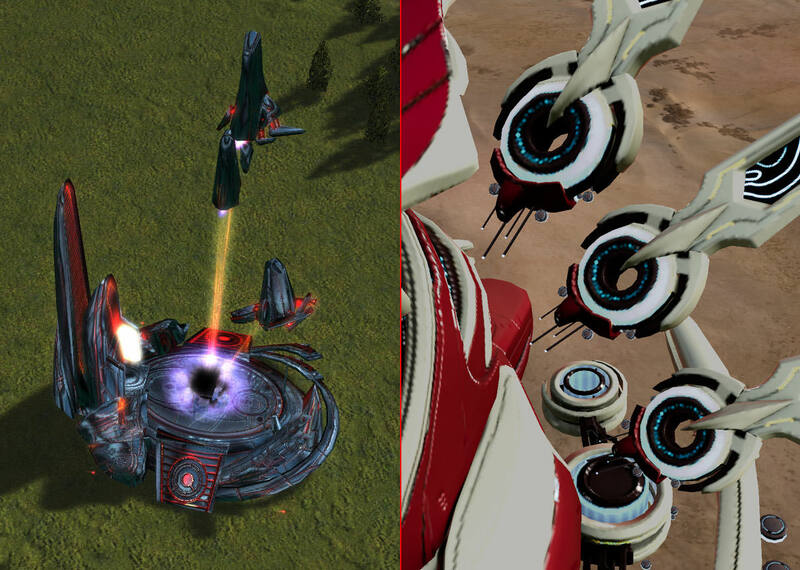 And since the Leonidas at least 2 times bigger than it, so Juggernauts are really dwarf any other units... Then at least a Leonidas is bigger than that Fort Class Beta in the mentioned upper picture. Around 70m tall. But its fireporver at least a thousand times powerful X) (But only the Medusa Cannon can hurt that big worm, but that will hurt like hell, cause its FULL AP)... Thx General.